OC selectively stimulates nociceptors in exposed mucous membranes, releasing substance P, bradykinin, histamine, and prostaglandins. 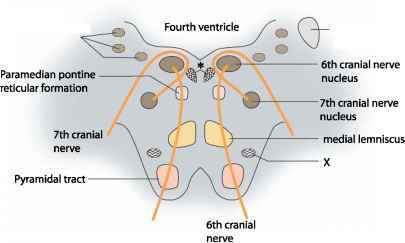 The physiological effects of these mediators' results in vasodilation, increased vascular permeability, pain, and altered neurotrophic chemotaxis. Other common symptoms are listed in Table 2.
a Initial response believed to be associated with pain. CS, chlorobenzylidene; CN, chloracetothenon; OC, capsaicin oleum. Fig. 1(A). 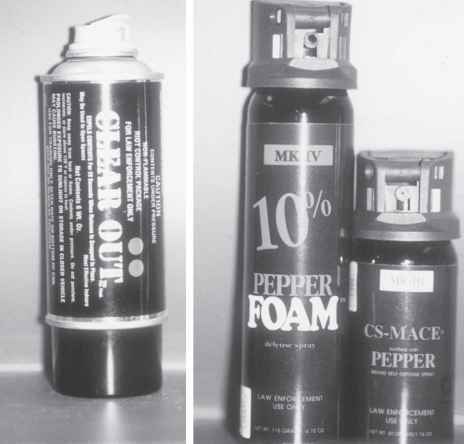 Examples of individual spray containers containing crowd-control agents. standardization for capsaicinoid content, which may alter potency, ultimately lead to variability in its efficacy, and jeopardize the safety of the user because of lack of effect (18). Most OC preparations are formulated in a propylene vehicle to enhance adherence to the skin surface. PS is the most common spray marketed to civilians for a less lethal, noncontact, self-defense method. It can be purchased in numerous sprays or foams, in various concentrations, or combined with other crowd-control agents, such as CS (see Fig. 1). and all were discharged from the ED. There are no data to support that PS exacerbates pulmonary disease or that patients with reactive airway disease are more sensitive to the effects (8,19-21). There have been a few reports of severe reactions to PS. One case report summarized respiratory distress that necessitated extracorporeal membrane oxygenation in a 4-wk-old infant after a 5% PS was accidentally discharged in his face (22). The infant had a rocky clinical course but recovered. Another case report summarized the clinical course of an 11-yr-old child who intentionally sprayed and inhaled PS from an individual canister and developed reversible wheezing (23). These case reports are anecdotal in that they report symptoms temporally related to PS exposure and demonstrate that when used improperly these compounds can cause severe symptoms. Thus far, these adverse events have been rare. 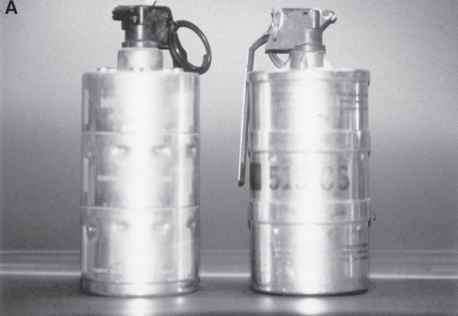 Of concern were reports of violent prisoners who died after being sprayed with PS and being physically restrained (24). It was assumed that the police used excessive force and that the prisoners died from "positional asphyxia" from the restraints and that PS played a role in their deaths (24). The cause of in-custody deaths can be difficult to determine because many times these deaths have other confounding factors besides restraint and chemical control agents. Risk factors for sudden death, such as mental illness, drug abuse, and seizure disorders, may not be readily visible, and autopsy reports can often be inconclusive or incomplete. There is no evidence that PS causes any type of respiratory effects sufficient to cause death, nor is there evidence to conclude that positional asphyxia caused the deaths of those in question. All of the prisoners who died exhibited characteristics consistent with excited delirium from substance abuse. Most were obese, had hyperthermia, were violent, and had measurable cocaine on postmortem analysis. The lesson learned from these cases is that all violent prisoners, regardless of whether a chemical restraint has been used, should be closely monitored and evaluated by appropriate health care professionals. A small population of acutely intoxicated individuals is at risk of sudden death, independent of their treatment. To refute the association between restraint and OC exposure, Chan et al. performed a randomized, crossover, controlled trial to assess the effect of OC spray inhalation with OC exposure plus restraint in a prone position (25). Results from 35 subjects exposed to OC or placebo showed that inhalation of OC did not result in abnormal spirometry, hypoxemia, or hypoventilation when compared to placebo in either sitting position or in a maximal restraint position. Fig. 2. 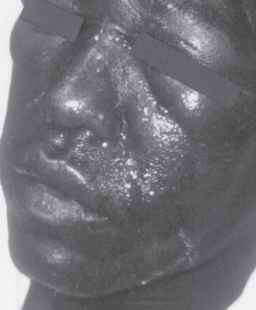 Periocular swelling and facial contact dermatitis from pepper spray exposure during an arrest by law enforcement. study, as well as an additional exposure trial, the focal epithelial damage healed within 1 d, independent of treatment (29). For those with ocular exposure to OC, a slit lamp examination of the anterior chamber is warranted to rule out corneal abrasion in patients who remain symptomatic for more than 30 min. If present, the abrasion should be treated appropriately with topical local anesthetics, topical antibiotics, cycloplegics, analgesics, and follow-up care. Dermatitis associated with PS has been reported (30,31). 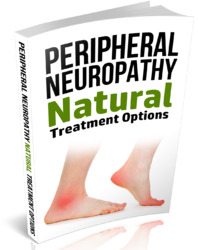 Topical corticosteroids, systemic antihistamines, and analgesics have been employed in reducing symptoms. An example of rather severe PS dermatitis and ocular swelling is shown in Fig. 2. This particular patient was sprayed during arrest by police officers and brought to an ED for evaluation. He was treated with irrigation, systemic antihistamines, and steroids, with resolution of his symptoms within 4 d.